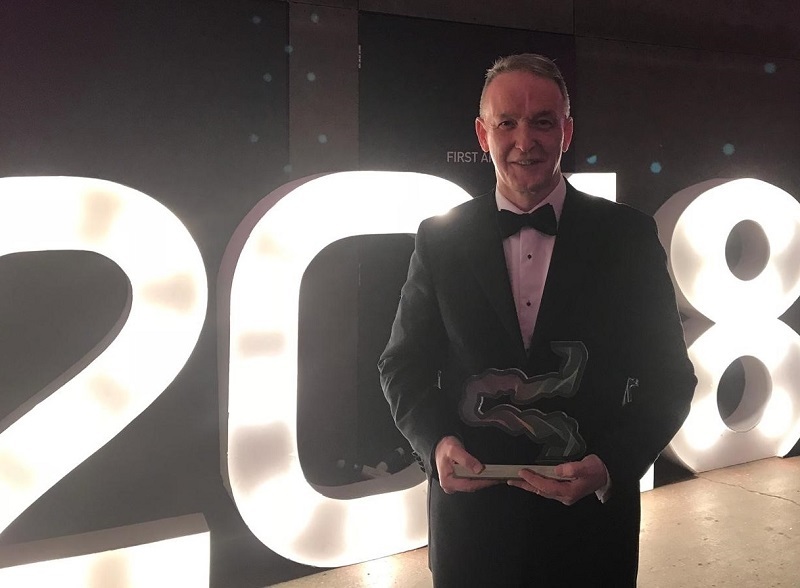 Wood’s chief executive was recognised for his achievements in entrepreneurship at the Summit Entrepreneurship Awards in Glasgow yesterday (22 November). The awards are about showcasing the creativity and ingenuity behind Scottish businesses and encouraging entrepreneurs of tomorrow to take the next step in achieving their ambitions. The 2018 Summit Entrepreneurship Awards recognised the outstanding achievement of entrepreneurs of Scotland across eight categories. There were more than 250 nominations, highlighting innovators and game-changers across the country at all stages in their career journeys. Robin won the Intrapreneur of the Year award, given to those who demonstrate an enterprising approach to positively impact their organisation and integrate entrepreneurship into their role.